In the depths of a Beijing winter, during the waning days of Deng Xiaoping's reign, the U.S. ambassador's son is found dead - his body entombed in a frozen lake. Almost simultaneously, American officials find a ship adrift in the storm-churned waters off Southern California. No one is surprised to find the fetid hold crammed with hundreds of undocumented Chinese immigrants - the latest cargo in the Chinese mafia's burgeoning smuggling trade. What does surprise Assistant U.S. Attorney David Stark is his discovery that among the hapless refugees lies the corpse of a Red Prince, a scion of China's political elite.The Chinese and American governments suspect that the deaths are connected, and in an unprecedented move they join forces to solve this cross-cultural crime. Stark heads for Beijing to team up with police detective Liu Hulan, whose unorthodox methods are tolerated only because of her spectacular investigative abilities. Their investigation carries them into virtually every corner of today's China, and leads them to Los Angeles's thriving Asian community - where their search turns up a bloodthirsty murderer at the apex of China's power structure. Their work together also ignites their passion for each other - a passion forbidden by their respective governments, and one that plays right into the hands of a serial killer. 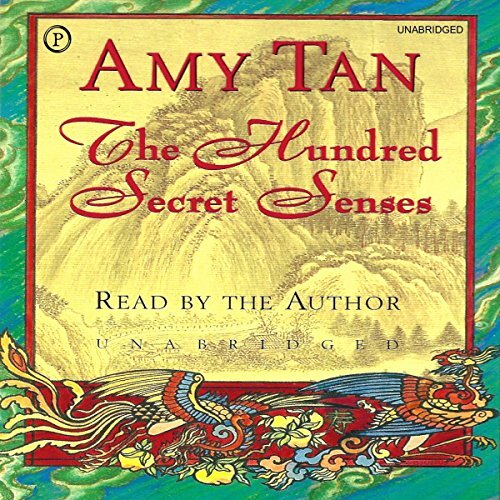 Amy Tan unfolds a series of family secrets that question the connections between fate, beliefs and hopes, memory and imagination, and the natural gifts of our hundred secret senses. 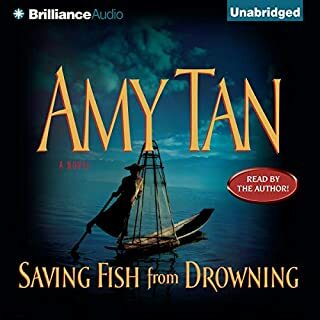 I love Amy Tan's books but the quality of this recording is horrible. I guess it is because it was remastered from an old recording. After listening to many audible books with crisp, wonderful performances, this was like listening to a radio station that wasn't coming in very clearly. I didn't even get through the first chapter. I am very disappointed and would like my money back! Very poor sound quality, this book is impossible to hear as the sound quality is too poor. Please refund the book. I enjoyed the story but found my self continually increasing the volume because the sound quality was poor which made it difficult to discern accented speach. One of my all time favorite books. Love love love! 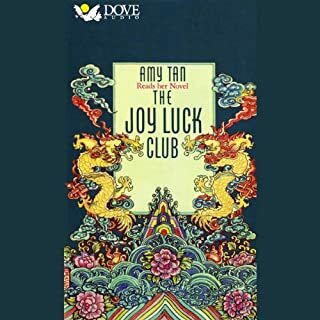 First read hard copy many years ago after my aunt introduced me to Amy Tan, I was still a teenager. One of those rare and beautiful stories that touches the heart and holds on forever. Keeps you heavily engaged as it's many tales within a story of two sisters and past life friends. This book should definitely be made into a movies as Joy Luck club, Also an excellent book but not as good as "The hundred secret Senses". Very well narrated as well by the author. This book and The Bonesetter's Daughter are everything a sublime book ought to be. Thank you Amy Tan. This seems to be an old recording. The sound quality is horrible. had the volume all the way up, but the overall recording is just very poor. But the story is awesome, the narrator is great. I listened to the CD version years ago, and just wanted to revisit this via audible. Very disappointed in the sound quality. This was an interesting read that compels the reader to keep turning pages. The most common of humans are slowly translated into extraordinary beings. A release of the power of the human mind that transcends the characters in the book to be incorporated into the reader. Amy Tan always pulls you in no matter what. 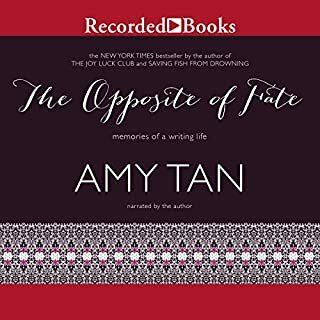 At first I wasn't too sure if I liked the story but I figured it was Amy Tan so I stuck with it and I'm so glad I did. Memorable charactors. What a fantastically original story. Really enjoyed hearing/reading something totally different from the usual girl meets boy and lives happily ever after. Yes, most definitely. It's story is very engaging and there is a strong emotional connection between the main characters, even though not completely obvious right away. I really enjoyed Kwan and all her quirkiness. 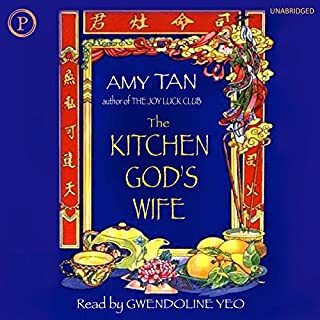 What aspect of Amy Tan’s performance would you have changed? The sound production was very poor at times. Nothing wrong with Tan's performance itself. If you could rename The Hundred Secret Senses, what would you call it? Ooh, this is a tough one. I'd probably just leave it alone. This book is told in a very innovative way and the characters in them are full of life and not 2 dimensional at all. 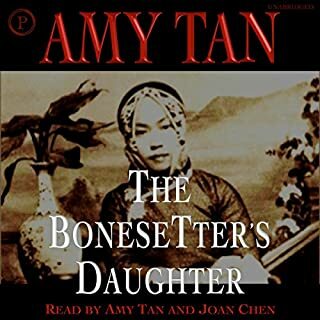 It's an emotional book and worth a listen, especially the way Amy Tan brings out the characters with her excellent narration.